The Open Science Committee makes general and specific recommendations for each of the 10 points of Plan S to guide the French National Research Agency (ANR) in the implementation of the Plan. As a signatory to Plan S, the ANR undertakes to ensure that scientific publications resulting from research it has funded will be published in open access in journals or on platforms as from 1st of January 2020 and that the authors of these publications retain their copyright without any restriction. The first is to publish journals and books in open access (“Gold Open Access”), which implies either institutional funding of platforms or journals operated by institutions or scientific communities (“Diamond Open Access” model), or the payment of publication fees for which business models compliant with the principles of “Fair Open Access” should be implemented. The second is to make it at least possible, if not mandatory, to deposit and make the publication available without embargo in a reliable open access repository (“Green Open Access”). It is essential, while building on what already exists, to also consider the development of other, more innovative routes. Indeed, Plan S, while expressing the need to establish strict compliance criteria for the services of eligible journals and platforms, seems to focus on the “APC” hypothesis (who will pay for them? will they be capped?) without explicitly considering alternative business models such as “Diamond” and by reducing the potential for editorial innovation in open access repositories. Consequently, the ANR, which will have to implement Plan S, must take into account in its roadmap open access journals free of charge for authors, alternative business models such as “Diamond” and open access repositories, thus respecting the diversity of models advocated by the Jussieu Call for Open Science and Bibliodiversity signed by the majority of French research institutions. It is along these lines that the specialized groups of the French Open Science Committee (Group “Open Scientific Publishing” and Project Group “Building Bibliodiversity”), made up of researchers from various disciplines and professionals in scientific and technical information (IST), have worked out the following recommendations for an implementation of Plan S in phase with our European colleagues. General recommendations are first presented, then the 10 points of Plan S are addressed in order. The Open Science Committee acknowledges the clarifications made to Plan S by the Implementation Guidance published on 27th of November 2018. These clarifications eliminate some ambiguities and are for most of them in line with the recommendations made by the Committee for the implementation of Plan S by the ANR. However, we are writing a short memorandum on “critical watchpoints” in response to the online consultation of cOAlition S, to highlight perhaps questionable points, or from our point of view, still unclear in the implementation guidance. We recommend that, when Plan S is implemented by the ANR, a very instructional note be issued to explain to researchers the new publishing terms and conditions that are now compatible with ANR grants. Establish the bibliodiversity / no-single-model principle. Open science must entail support for the diversity of business and publishing models. The principles set out in the Jussieu Call for Open Science and Bibliodiversity should ground the roadmaps to be developed by the signatory agencies of Plan S.
In this respect, point 1 of the Plan S implementation guidance provides that it is necessary not to favour any economic model or any method of implementing Open Access. Respect the specificities of the disciplines. Particular attention should be paid to the practices and conditions of scientific communication, publication and evaluation of the different disciplines. In particular, dissimilarities between HSS and STM disciplines must be taken into account, including the evaluation of researchers. Plan a phased deployment. While the 2020 objective can be realistically achieved by relying mainly on the dissemination potential of open access repositories, only the funding of innovative infrastructures, platforms and journals, under the control of the scientific community, will enable the necessary systemic change in conjunction with open access repositories. Assert and strengthen the essential role of open access repositories. Open archiving, without exclusive assignment of rights to publishers and without embargo, must be explicitly mentioned as one of the solutions to be promoted or even preferred (see point 8). Support for open access repositories (HAL, national and international, institutional and / or disciplinary archives) must be systematic, their interoperability being a compliance criterion. 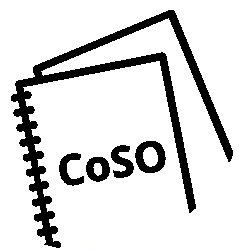 materialises compliance with Plan S.
Implement innovation support mechanisms for national and international infrastructures, university presses and editorial structures, content or referencing platforms, journals and services offering original editorial and business models that meet the criteria of exemplarity as defined by the Open Science Committee (CoSO) by the first half of 2019. In particular, the dynamic development of researchjournals operated or supported by public institutions towards open models should be encouraged (see points 2 and 3). In this sense, the statements in point 4 of the Plan S implementation guidance are in line with CoSO’s proposals. Require the implementation of principles of transparency and measurement of the costs of open access. This is a key point in the implementation and evolution of open access publishing mechanisms. The price of the various publication operations – peer review, editorial tasks, and dissemination – should be made public by the publisher of a journal or a book, to enable the assessment of theadequacy between the actual prices of the services provided and the costs of open access publication. When fees are paid as APCs or BPCs by authors or their institution to publish in open access, these must be identified and made public by institutions and / or research funding agencies in compliance with the Open APC initiative. Points 3 and 9 of the Implementation Guidance provide that transparency of APC costs will be a criterion for compliance with Plan S.
1. Authors retain copyright of their publication with no restrictions. All publications must be published under an open license, preferably the Creative Commons Attribution Licence CC BY. In all cases, the license applied should fulfil the requirements defined by the Berlin Declaration. This is a crucial point because it entails that authors are free to deposit and distribute, whenever they wish (i.e. without taking any embargo into account) and wherever they wish, the final version of the manuscript accepted for publication (or the final published version if authorised by the publisher). Ideally, the open-licensed distribution of the version of the author manuscript accepted for publication (at least) under a CC-BY type of licence is to be preferred (or CC-BY-SA if appropriate), ensuring that this is not restricted or prohibited by an assignment of rights in a publishing contract (see point 8). Provide model addenda to amend contracts to allow an open archive deposit without embargo for the final version of the manuscript accepted for publication (or the published version if authorized the publisher). The terms of these amendments will have to be taken up and integrated into the consortium negotiations with publishers at national level by the Couperin consortium and by cOAlition S at European level. Inform researchers and project leaders about open licenses and the implementation of amendments. 2. The Funders will ensure jointly the establishment of robust criteria and requirements for the services that compliant high quality Open Access journals and Open Access platforms must provide. Open and permanent dissemination of its content. These requirements can be met by publishing in a journal or a book, by depositing in an open access repository, by using a peer review platform, or by a combination of these, e.g. publishing in a subscription journal and depositing in HAL; publishing in an open access journal; peer review using a dedicated platform and publication in a journal. To be able to choose these mechanisms, the researchers must be able to simply and easily check for the compliance criteria when choosing the journal/dissemination platform in which they wish to publish. A first minimum level of compliance should be provided for, as well as a second level meeting higher opening requirements. No requirement for exclusive assignment of rights by the author: this is in compliance with the provisions of Plan S point 1.
its actual and substantial editorial added value (material and intellectual). Technical and editorial quality of the journal: this criterion can be verified, for example, by its indexing in the DOAJ (Directory of Open Access Journals). However, it is important to ensure not to discriminate new journals that have not yet been referenced in the DOAJ. quality of services – clear and accessible display – servicing scale). Openness (total or partial) of the journal and peer review process (“Open Peer-review”). Open access policy to the scientific data on which the article is based (link between the data and the publication). a technical configuration enabling open and interoperable data and metadata. In this respect, dissemination on social networks such as ResearchGate, Academia or MyScienceWork is not enough to be Plan S compliant. A complete and high quality peer review can be carried out outside the framework of a scientific journal by a recognized and organized community based on an open access repository for publication. This distribution method is compliant with Plan S.
3. In case such high quality Open Access journals or platforms do not yet exist, the Funders will, in a coordinated way, provide incentives to establish and support them when appropriate; support will also be provided for Open Access infrastructures where necessary. Supporting open science infrastructures, platforms and journals financially is essential and we encourage the ANR as a cOAlition S funder to do so. It is up to the Commission to determine whether this support is provided at project level (mechanisms to be determined, see point 5), assumed by the funder on a specific line or by a combination of both. the compliance with open standards and norms for data and metadata and the provision of open APIs. 4. Where applicable, Open Access publication fees are covered by the Funders or universities, not by individual researchers; it is acknowledged that all scientists should be able to publish their work Open Access even if their institutions have limited means. This provision contains the risk of drifting towards a model entirely based on fee-based publication, the fees of which will be difficult to control if not associated with services whose charges are justified by the publisher (see above: “transparency”). However, “virtuous” publication fees, which are transparent and related to the services provided, are acceptable because the editorial process and publishing have a cost. The solution we uphold and which is advocated by the Jussieu Call is to encourage the collective financing of platforms and journals that do not require author payment. 5. When Open Access publication fees are applied, their funding is standardised and capped (across Europe). There is probably a risk of prices being aligned on such capping. Consequently, price caps should be adjusted to the lowest level, while allowing sustainable models to be built with publishers. Moreover, an average cap makes no sense in disciplinary terms and work out actual publishing costs as closely as possible to disciplinary and national specificities is required. Capping, from our point of view, can therefore only be disciplinary and it seems preferable for the ANR to set the amount for each discipline in its national rules or delegate this charge to its disciplinary sections in the context of the examination of the applications. Evaluators should be provided with evidence to assess the models and pricing of publishing services. To avoid levelling up, we recommend that the money not spent on the “publications” budget line of a project, can be used on the other lines and not the other way around (principle of asymmetric fungibility). It appears essential to require the transparency of publishing prices in order to relate the amounts requested to the services actually provided. For transparency to make sense, it is necessary to construct a scale of actual rates for services by discipline comprising evaluation processes, material editing and publishing costs acceptable to all. This scale must be developed with public publishers, learned societies and other stakeholders in open access publishing. 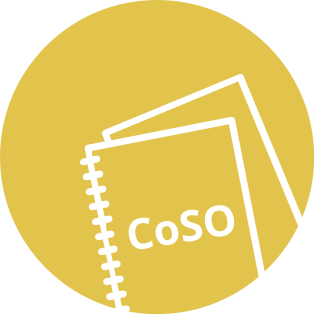 The CoSO is willing to contribute to this collective task. We recommend that the work on price transparency be coordinated at the level of the cOAlition S stakeholders and take the reality of the negotiations into account. 6. The Funders will ask universities, research organisations, and libraries to align their policies and strategies, notably to ensure transparency. If this is an alignment being sought at a European level, care should be taken not to move towards a single open access developing model but to support bibliodiversity while respecting disciplinary specificities. that consortia negotiations with publishers promote the implementation of Plan S for authors from the institutions or country concerned. 7. The above principles shall apply to all types of scholarly publications, but it is understood that the timeline to achieve Open Access for monographs and books may exceed 1st of January 2020. The date of 1st of January 2020 seems unrealistic considering the production times for monographs. In addition, in the absence of a reasoned and quantified approach to book publishing practices, there is an urgent need for a study on the economy, publishing methods and costs of open access monograph publication, an outcome of which could be to consider setting a date and mechanisms for the open access dissemination of ANR-funded research monographs. Particular attention should be paid to innovative business models. However, we believe that the case of collective works can already be equated to that of journal articles with the possibility of depositing chapters in open access repositories, on the model of articles. Carry out a study on the economy, publishing methods and open access publication costs of monographs, in line with the principles set out in the “General Recommendations” and point 5 for establishing cost transparency. This study should be conducted with public publishers, learned societies and other stakeholders in open access publishing. We also recommend that we approach university presses to consider, by relying on their experience, the implementation of mechanisms for publishing books natively in open access and in a capacity of using alternative business models as defined by Operas (white paper: Open Access Business Models), such as the Freemium model, collaborative library funding, etc. Carry out a pilot project on books. 8. The importance of open archives and repositories for hosting research outputs is acknowledged because of their long-term archiving function and their potential for editorial innovation. Open access repositories must become the venue of choice for the distribution of publications financed by the ANR and all members of cOAlition S.
In this sense, it is appropriate for the ANR to contractually require a systematic deposit or automatic transfer into HAL from another archive or any other source. We therefore recommend, for articles accepted for publication that, at a minimum, the full text of the final version of the manuscript accepted for publication or, ideally, the “publisher” version (in the same way as in the virtuous examples of EDP Sciences and the American Physical Society) be made available in an open access repository immediately after publication (without embargo). a tool for researchers to store and distribute their own research output and build their reports. 9. The “hybrid” publishing model does not comply with the above principles. As a shift to open access, this very opaque model amounts to a double payment that cannot be acceptable. However, a large number of journals using this business model are, for the time being, the flagship journals of entire scientific communities and have a high reputation, and therefore a strong appeal. Without, at least, a rapid and radical evolution of research evaluation procedures, it is therefore unrealistic to think that this situation can be changed by 1st of January 2020.
drive the publishers of hybrid journals to carry out, with specific deadlines, their shift into fully open access journals. 10. The Funders will monitor compliance and sanction non-compliance. We recommend that the ANR verify when reviewing projects, and if necessary when evaluating them (through deliverables related to the publication of sources for example), that the publications are compliant and the corresponding costs acceptable. Consideration could be given to opening the expected budget line earmarked for publications only after publication and subject to a verification of compliance. The ANR could, as is the case for European funds, create a pooled fund to finance publications, which are often published after the term of a project. The ANR and the other members of cOAlition S may also make global audits of the implementation of the plan, for example annually, and based on that take adjustment measures. The most important thing at this stage seems to us to keep an explanatory attitude and provide support, to clearly tell researchers how they can comply with Plan S.
Kept informed of next events, directly in your mailbox. Open Science movement aims to build an ecosystem in which science will be more cumulative, more supported by data, more transparent, faster and providing an universal access.